Adelaide Leighton, 90 of Middlebury, formerly of Naugatuck and Bethany, beloved wife of the late Raymond E. Leighton, died Jan. 15, at Waterbury Hospital. Born in New Haven on Dec. 31, 1920, she was the daughter of the late Albert C. and Adelaide Harder Williams. Mrs. Leighton worked as a kitchen worker for the Amity School District and as a sales associate for J.C. Penny Co. in Fla., for many years until the time of her retirement. Together with her husband, she enjoyed many winter seasons in Florida. 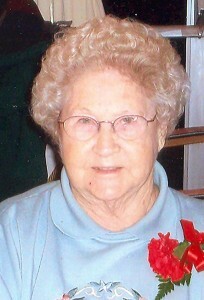 Mrs. Leighton was an avid quilter and loved to sew, she was a member of the Naugatuck Grange Quilting Club. She is survived by her devoted daughter and son-in-law, Nancy L. and Michael “Maxie” Maximenko of Naugatuck; a sister, Eleanor Conary of Wallingford; a cherished grandson, Michael Maximenko and his wife, Cassandra of Naugatuck, as well as several nieces and nephews. In addition to her husband, she was predeceased by sisters, Constance Darling, Lois Miller, Jean F. Motzer and Ruth B. Shaw. A springtime graveside service will be held in Grove Cemetery, Naugatuck. The family wishes to thank the staff of the Middlebury Convalescent Home for their compassionate care extended to Adelaide. The Wakelee Memorial Funeral Home, 167 Wakelee Ave., Ansonia, is in care of arrangements. Memorial contributions may be made to the Make a Wish Foundation, 126 Monroe Turnpike, Trumbull, CT 06611. On line condolences may be made at www.wakeleememorial.com.